Politics in Uganda has never been simple. Alongside political parties, independent candidates vie for seats in parliament and the incumbent president, Museveni, has held executive power uninterrupted since 1986. A key turning point was the 2005 referendum that reintroduced multiparty politics to the country’s political system, which led in 2009 to NIMD beginning its multiparty support programme in Uganda. 2018 ended with an historic Interparty Organization for Dialogue (IPOD) Summit on 12 December, attended by leaders of four of Uganda’s largest parties, including National Chairman of the ruling National Resistance Movement (NRM), President Yoweri Museveni. The summit saw the leaders have their first ever formal dialogue on strengthening democracy in Uganda, all of whom committed to continue IPOD’s dialogue process to move the country forward. NIMD played a central role in facilitating IPOD’s activities and also provided administrative support to ensure the event ran smoothly. Party Secretaries General and the NRM Women’s League Chair met in Kampala to formally launch the project. Also pictured are NIMD’s Frank Rusa (far left) and Egbert Pos (far right). 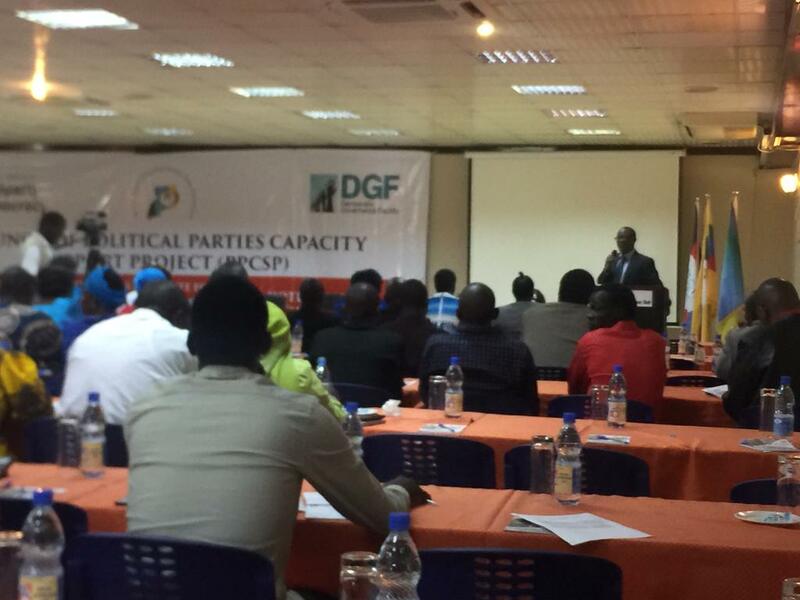 NIMD’s Uganda programme is expanding its activities in 2019 as we partner with the Democratic Governance Facility (DGF) to launch the Political Parties Capacity Support Project (PPCSP). The project will support Ugandan local initiatives to deepen democracy, increase access to justice, protect human rights and promote public accountability. As part of the programme, NIMD will be running workshops, awareness events and trainings for parties and the public in Uganda. 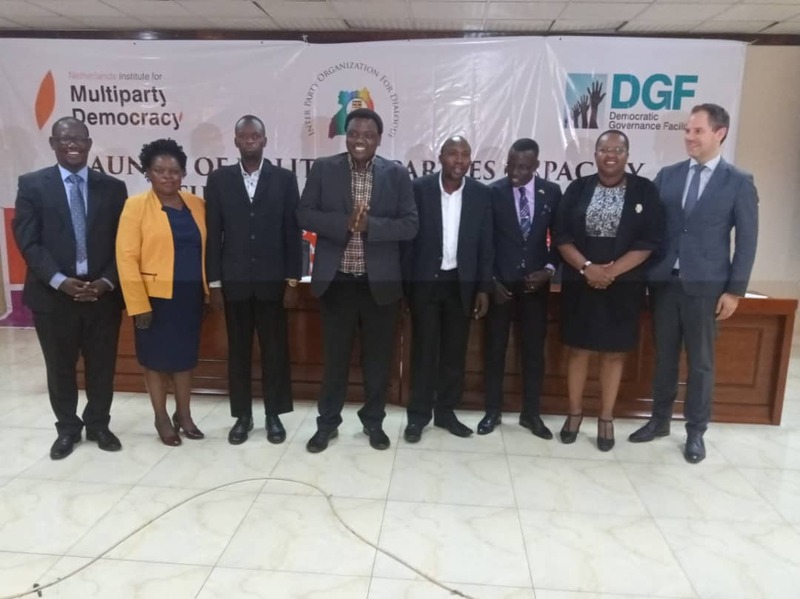 The inaugural workshop took place on 28 January, with Party Secretary Generals from the opposition Democratic Party (DP), Uganda People’s Congress (UPC) and the Justice Forum, as well as the Women’s League Chair of NRM, in attendance. A core aspect of the workshops focuses on gender action plans for parties as they seek to mobilize women activists in the country. This focus derives from the observation that, despite an overall upward trend over recent years, female participation in elections still shows a serious deficit against that of men. Following the first inter-party workshop, which focused on engagement with women and young people, parties will also meet experts on party communication, conflict resolution, and policy development. Participants listen to a talk from NIMD’s Uganda Representative Frank Rusa. The PPCSP aims to keep the momentum going behind party reform and inclusive political attitudes, with all attending parties expressing their strong support for these interventions and optimism for their long term democratic impact. By reaching out across the party spectrum so soon after the commencement of dialogue through IPOD, there is an opportunity for political actors to work in coordination with one another and build trust, in turn leading to a more pluralistic political culture. 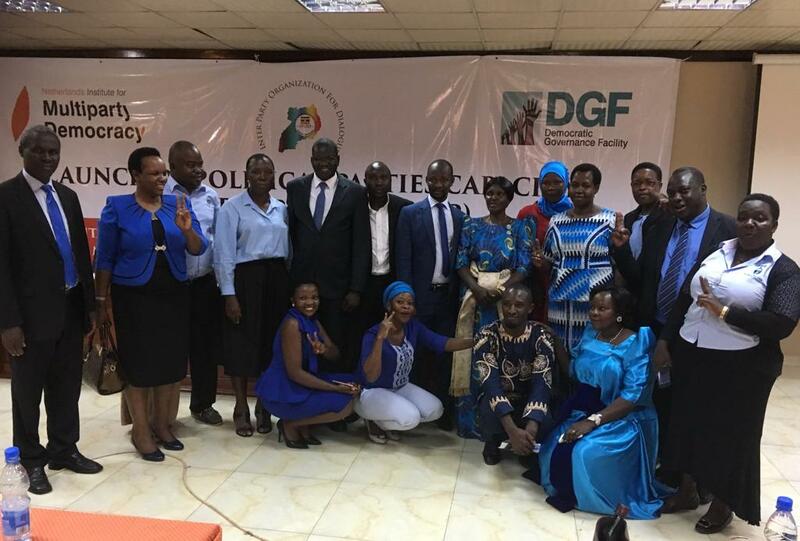 As well as activities for parties, there will also be public awareness events held in Uganda’s districts that will connect civil society organizations more closely to decision makers and open the door to politically-excluded groups, such as women. The PPCSP is funded by the governments of Austria, Denmark, Ireland, the Netherlands, Norway, Sweden, together with the European Union.